Tile adds elegance to one of the dirtiest parts of your home – the bathroom. Not only is it easy to clean and maintain, but it is also durable and immaculate. Whether it is for your own personal eye pleasure and comfort or for increasing home value and attracting potential buyers, tile is your best option. While paint is definitely cheaper, tile can still be used even when on a limited budget. Here are five bathroom tile ideas Rowlett, TX remodeling companies generally recommend. Tile Wainscoting. Did you know that wainscoting has been used for centuries not solely as added decoration to the walls? It is also serves very practical purposes, which are to insulate as well as to protect walls from water damage. This makes it a perfect addition to the bathroom. Although it is usually done on wood or in dining room areas, wainscoting can also look great in a bathroom. Even if you lack the budget, you may still use tile from the floor and upward. Simply paint the rest of the tile-less wall with either a semi-gloss or gloss paint for easier cleaning. You can also use wainscoting as a charming backsplash or tub surround. Tile Borders. Another budget-friendly minor renovation for your bathroom is the simple addition of tile borders, which give warmth and accent to your private space. Through them, you can also channel your personal style and statement without having to spend unnecessarily. Adding a strip of colored glass or mosaic tile above wainscoting is one of many bathroom tile ideas Rowlett, TX remodeling contractors typically suggest to homeowners. Tile flooring. Tile is the most popular alternative to hardwood flooring, which can easily warp due to the constant moisture in the bathroom. If you opt for ceramic tile flooring, choose one with a grade of one or two. Its water-absorption rating should also be lower than seven percent, with a coefficient of friction not lower than .60. Also select one that can stand up to water and is virtually non-slip. When buying, also take into account the tile’s porosity since the bathroom is after all constantly exposed to water. Choose one that has higher impermeability. You might also want to consider vinyl since it gives a better feeling on bare feet than ceramic does. It is also low-cost, easy to install and easy to maintain. A different set of tiles for the shower room. Adding tiles of a different color and style to your shower area adds definition to the different zones in the bathroom. Choose a tile with a water absorption rating of not more than three percent (which is lower than the rate recommendation for floors). Make sure that its coefficient of friction is not less than .60. Tiles galore. Going for an all-tiles bathroom can be on the pricey side, but it’s well worth it. If you have a massive bathroom, you can experiment with various tile colors, shapes, sizes, patterns and textures. However, if you have a relatively small space, stick to similar tones so as to make your bathroom appear more spacious. These are only some of countless other bathroom tile ideas Rowlett, TX remodeling agencies offer. 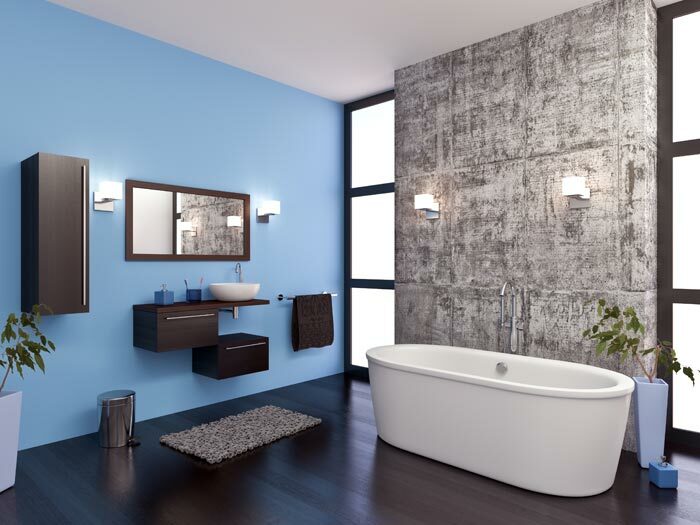 For expert advice on your bathroom remodeling projects, do visit Lee’s Tile and Bathroom Remodeling. It has been servicing satisfied clients in Texas since 1949.